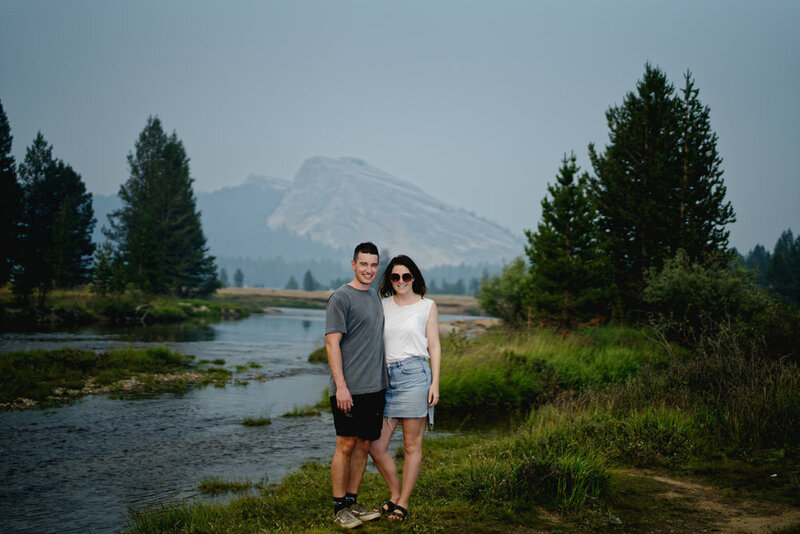 From across the world and for a few months we planned to capture this secret proposal in Yosemite, Tuolumne Meadows. 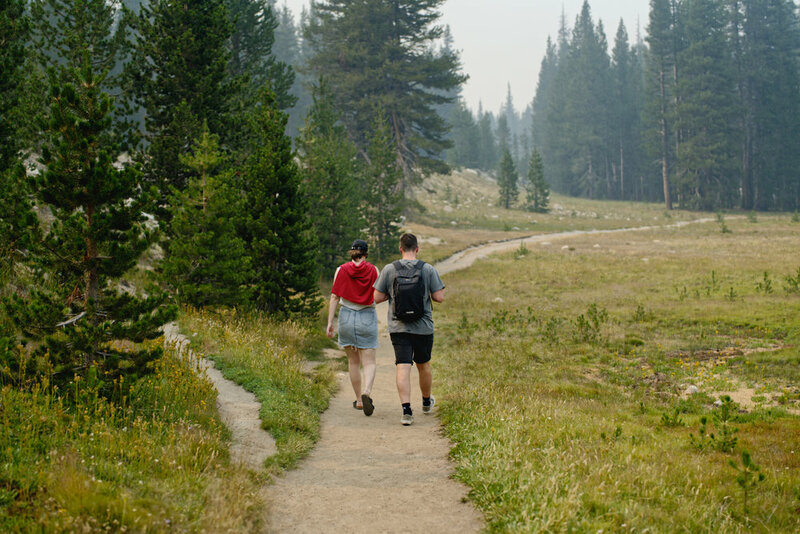 Daniel reached out to us from the U.K., he and his partner planned a vacation to Yosemite and he wanted it to be more than just an average trip. 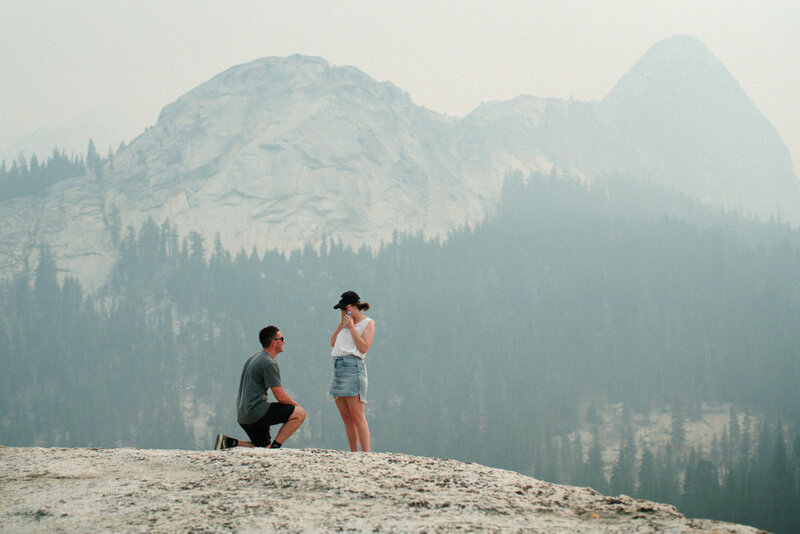 Closer to the day we had planned to capture this proposal in Yosemite Valley, local fires caused closures that restricted access to Yosemite Valley and Glacier Point road, so we had to scramble to find an alternative location last second. Thankfully, the Tioga Pass road was still open and Tuolumne Meadows. 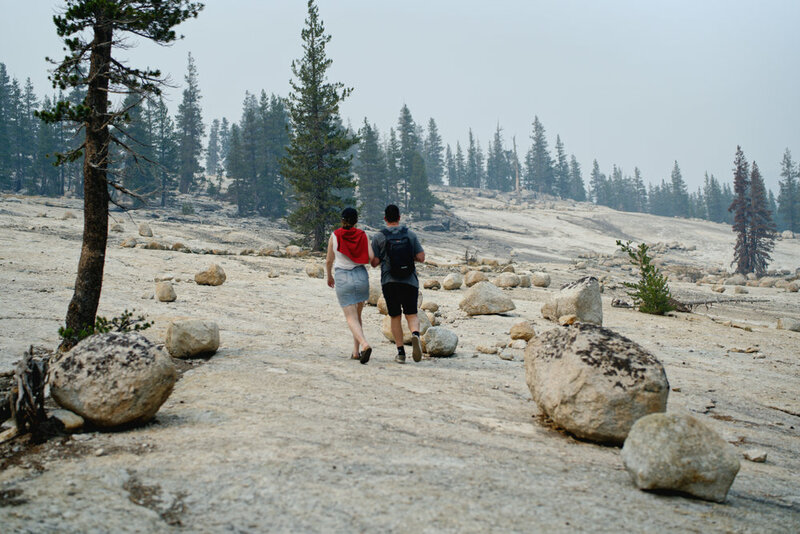 The air was a little smokey but it still worked, and worked beautifully to capture these special moments to photograph a secret proposal in Yosemite. Once we were in place the signals were made and the moment unfolded. It was an amazing and surreal experience. After she said “yes”, we headed down back down and took some more photos with the last remaining sunset light behind the smoke. We work hard to capture moments like this, and we were really happy to meet this awesome couple from across the world.